A couple holds hands at their 25th Anniversary Party. I recently photographed a wonderful couple and their families at a small gathering at Teibel's Restaurant in Schererville, Indiana. As family members arrived they signed their names and gave best wishes on a picture frame. Cocktails were served and children young and old exchanged stories, laughter and a of course a hearty congratulations on 25 years of marriage. A family gathering to celebrate a 25th Anniversary. 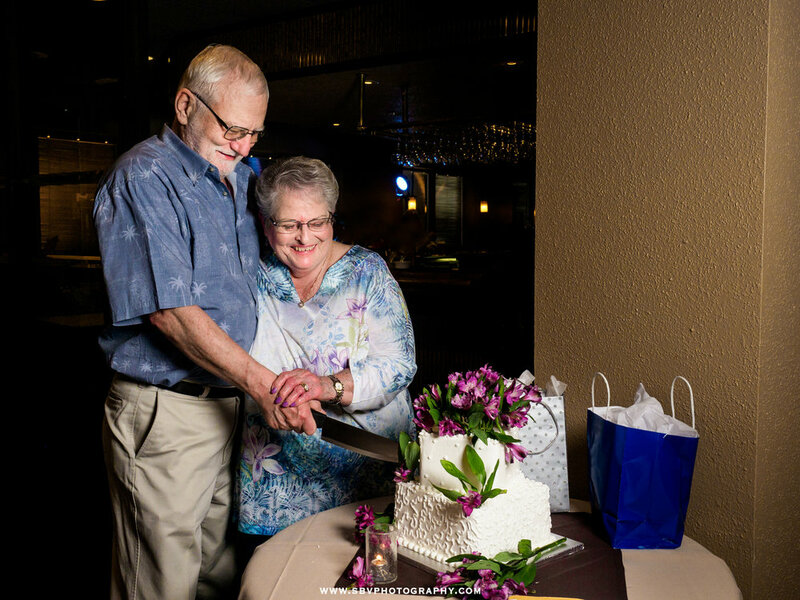 After dinner a "faux vow renewal" was conducted as well as a re-enactment of the cake cutting from 25 years ago. 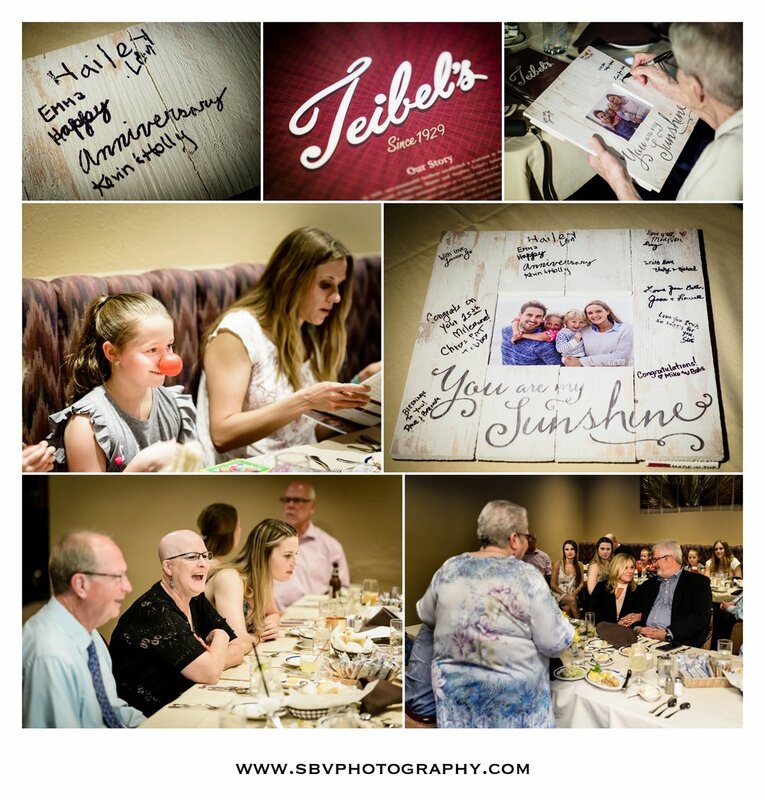 25th Anniversary Party At Teibel's Restaurant. I asked each table to grab a glass and toast the "bride and groom" which they dutifully did. Just before dessert we gathered small groups together for some family pictures. It was wonderful night of love and family. For small parties such as this one, be sure to fill out the Contact Form to inquire about Event Photography. For full length weddings and engagement photography, please visit my sister site Region Weddings - wedding photography for the modern bride.